If there’s anything we learned about Burger King today, it’s that the fast food restaurant is killing the cheesy bites game with its new Cheese Bites. 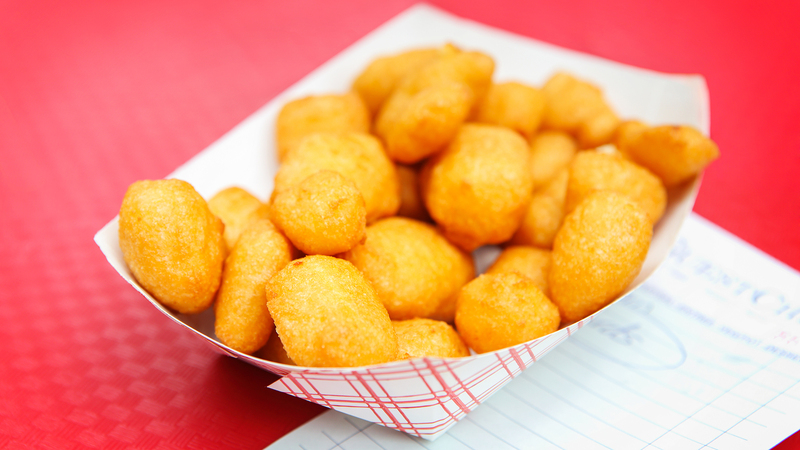 Though only available at select locations in Texas, according to YouTube food reviewer Full Nelson Eats, the new cheese bites are already getting rave reviews. Burger King’s Cheese Bites have a crispy, deep-fried breaded coating with a dense, cheesy core. And with a name like “Cheese Bites,” that’s all we could ever ask for, right? The Cheese Bites are priced at $1.99 for an eight-piece and $3.99 for a 20-piece order — which is pretty excessive, but you can always share. No further details have been released about these new cheesy bites, but in the meantime, there’s always Burger King’s still-killer $5 coffee subscription promotion, where customers spend just $5 each month to get a hot cup of coffee every single day of the week. Or, you can get your hands on one of Burger King’s newest menu additions: its vegan Whopper. Added to the menu earlier this month, the vegan Whopper has a plant-based patty from Impossible Foods, which notably produces the ever-popular Impossible Burger. Cheap coffee, meatless burgers and extra-cheesy cheese bites: Does life get any better than that?